In his opening melody, Mahler invites association with the slow movement of Beethoven’s last quartet, Opus 135. Soon, though, the music is caught in “motion, change, flux,” and before the final triumph it encounters again the catastrophe that interrupted the first movement. The adagio’s original title, What Love Tells Me, refers to Christian love, to agape, and the performance directions speak to the issue of spirituality, for Mahler enjoins that the immense final bars with their thundering kettledrum be played “not with brute strength, [but] with rich, noble tone,” and that the last measure “not be cut off sharply”—so that there is some softness to the edge between sound and silence at the end of this most riskily and gloriously comprehensive of Mahler’s worlds. Mahler was an expert on the deaths of children. Seven of his thirteen siblings died in infancy, and his favorite brother, Ernst, died at thirteen. We do not know when Mahler first read the Kindertotenlieder by Friedrich Rückert (1788-1866), but he was ready for them. In 1901, when he composed the first, second, and fifth songs of the cycle, Mahler had no children of his own and was not yet married. In 1904, when he completed the cycle, he was the father of two daughters, Maria, going on two, and Anna, just born. Alma Mahler was appalled that the father of two healthy children should write Kindertotenlieder; when Maria died of diphtheria in the summer of 1907, Alma was convinced that her husband had tempted fate. Rückert’s own children, Ernst and Luise, died in 1836. The 423 Kindertotenlieder were the poet’s response to this catastrophe. Originally Recorded in DSD 2.8MHz. 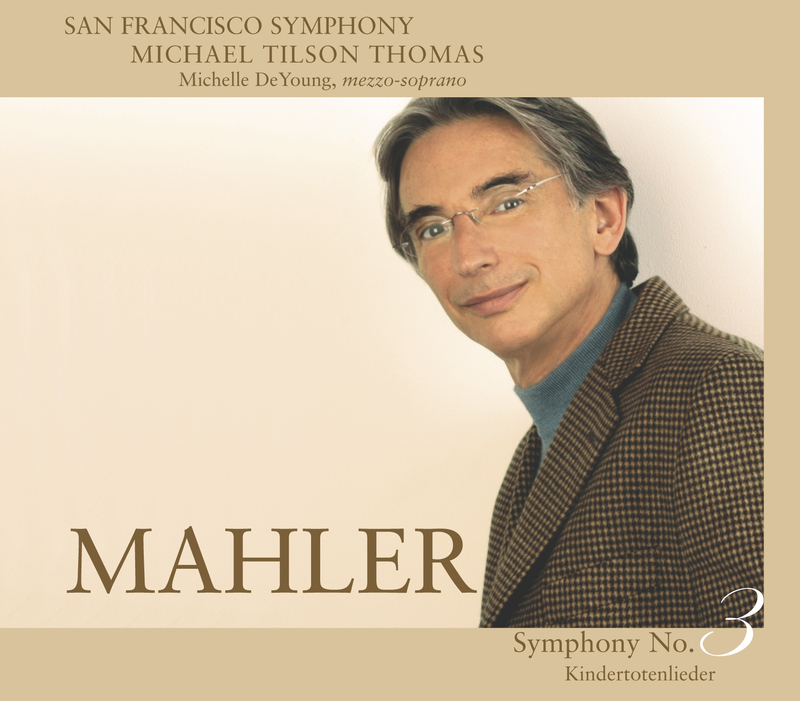 This recording of Mahler's Symphony No. 3 and Kindertotenlieder was made possible by the encouragement and generous leadership funding of Mr. Gordon Getty.